oneworld MegaDo Giveaway: Are you going to miss the MD-80? 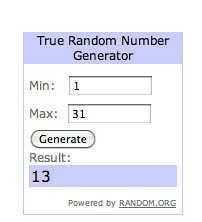 Congratulations to wis, the winner of yesterday’s oneworld MegaDo Giveaway! Yesterday I asked readers to weigh in on whether or not American would extend the Double Elite Qualifying Miles offer. The consensus view was: No. I mentioned this before, but I was on a plane and met The Frequent Flyer Collector. Even though we’d never met before, both of us had a layover so we ended up having lunch and talking about miles, points, and planes. At some point in the conversation we started talking about how much we both liked the new Boeing 737-800s with the Sky-Interior. I mentioned to him that as much as I liked the new planes, that I was going to miss the MD-80s when they got replaced. That’s something I never thought I’d say. Either because my first flights were on a Boeing, or because I grew up thinking that the 747 was the coolest plane on earth, I’ve always had this Boeing bias. But something that I do like about the MD-80s that I didn’t realize until recently, is the 3/2 seat configuration in coach. If you’re traveling with another person, it’s nice to have the whole 2 seat row to yourselves. The 3 and 3 seating configuration of the 737 means that one of you is going to have to sit in the middle seat, or that you’re going to have a stranger sitting in between. So, that brings us to today’s giveaway. To celebrate the first ever oneworld MegaDo, I’m giving away a different prize in a random drawing each day this week! Even if you’re not going to the oneworld MegaDo, this your chance to win some AAdvantage Geek gear. Today’s prize: This American Airlines MD-80 cap! To enter, all you have to do is post your answer to this question in the comments section. Are you going to miss the MD-80? There’s not right or wrong answer. Just submit your answer. I’ll have a random drawing in the morning and the winner will be announced tomorrow. One entry per person. The deadline to enter is tonight at 11:59PM Pacific. I know of two other bloggers that will also be giving away some oneworld MegaDo related prizes. The Weekly Flyer over at Points, Miles & Martinis was sponsoring a contest with prizes for people participating in the MegaDo and as well as prizes for those that aren’t attending. Today is the last day to enter. Now you can help him pick a winner. AJ from Live from a Loung is also offering a reader contest. So stop by his blog today for chance to win some cool MegaDo related prizes. I’ll also be live tweeting from @OWMegaDO. Follow that twitter feed for all the live updates, including insights gleaned from airline execs and aircraft manufacturers over the course of the trip. If you’re going to be on the trip, or want to follow others that are, use or search the hash tag #OWMegaDO. Yes, I will miss it terribly! Being EXP, I almost always (* never say never) get upgraded to F on my MD80 flights, and F is nice and quiet on these birds, due to being so far away from the engines. They’re much more sleek looking than the 737. They almost always have wifi. If I am stuck in back (rare, but it has happened…) my husband and I get to sit “alone” on the 2 side rather than next to a stranger (and one of us stuck in the middle) on the 3 side. Unless we’re flying RJs, we just don’t get that option on any other mainline plane. I will be very sad to see them go. Won’t miss the MD-80’s except for the WiFi. I’ll miss the MD80’s only for the 3-2 seating. Nope. Won’t miss the 3 seats. I won’t miss the Super 80. The exit row seats are so far back in the plane. I love the legroom, but it takes forever to deplane! 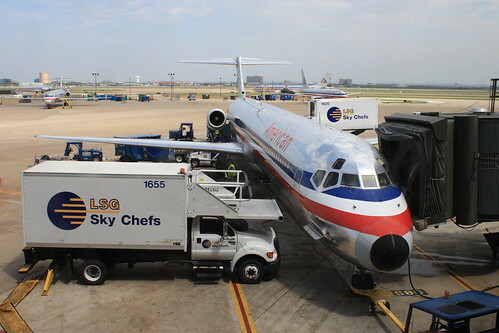 I don’t think I’ve ever flown an MD-80, but they look kind of cool, so yeah, I’ll miss it. Yes! Very quiet ride in First. Yes. As you noted, the 2/3 seating arrangment is great when traveling with a companion. No. They go mx way too frequently! I will miss the MD-80’s for three reasons: a)aircraft is so quiet up front b) wife and I really appreciated the 3/2 seating … more than 90% of my flights were either A/B seats (even on business trips when she didn’t join me and c) the aircraft had such a long, slender look. I used to call them the “cigar” planes when I was younger. I will not miss the exit row being so far back in the plane. I will not miss the lack of technology on the planes (other than WiFi). I will not miss how dated the interior looked and felt, even after the interior refurbs. No. Just get me to my destination! Yes, I like the 2 + 3 seating ever since I sat in it the very first time in 1996 on my very first international flight from BOM-FRA-CVG-PHX on the last CVG-PHX leg. Not really.. I definitely enjoy the new 737’s better. No. I don’t think I’ve ever flown it before. Yes I will miss it. In 20 years we will remember it like the 727 is remembered today. Yes…the 2×3 seat configuration is a winner. Nope … like 2+3, don’t want to ride in it. On the other hand, going standby on a full flight and getting the last seat in the back behind the galley, now that’s living! Yes, will miss the quiet ride up front and the “private” A/C row. NO. This is a relatively old aircraft; it has old, loud engines! Gosh no! They are loud, old, and gross! And bye the way, you could always go double aisles across from each other! yes – I will miss them. Not really, but appreciated for their role in flying history. @ Frequentflyercollector – Thanks for the link. Great photos of the new 737s Sky Interior! No. Happy they are moving on!